Happy 10th Birthday to Josie. I still remember when she was a puppy. 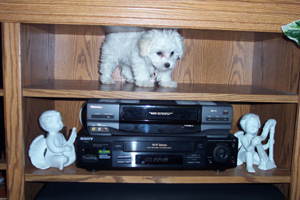 One of the first photos I took of her, I put her on a shelf in our entertainment unit. I thought it would be amusing to make it look like she was one of the statues on display.